Challenge: Contractor Archetypal Imagery needed a product that had the right balance of strength and flexibility to install both the plywood subfloor, comprised of 3/8” Baltic birch, and the parquet panels. The product needed to withstand spills, daily sanitary washing and frequent temperature and humidity changes. Because these conditions cause wood to expand and contract, a flexible wood flooring adhesive was essential. Archetypal selected TEC® WoodStrong® wood flooring adhesive to install approximately 6,000-square-feet of custom-made, 56-inch antiqued wood French Versailles parquet panels for the space. Archetypal tested the glue in extreme humidity, dryness, heat and cold to ensure that all possible restaurant scenarios were addressed. They glued samples of Baltic birch plywood to ¾-inch-thick, solid wood flooring and placed them in a humidity chamber, an oven and a freezer for seven days. The tests revealed that while the Baltic wood experienced some distress, the wood flooring adhesive held, so the stability of the installation was not compromised. TEC® WoodStrong® was perfect for the demanding environment because once cured, it develops a highly elastomeric bond that moves with the normal expansion and contraction characteristic of wood floors. This product is also freeze/thaw stable, has extended open time and is easy to handle. 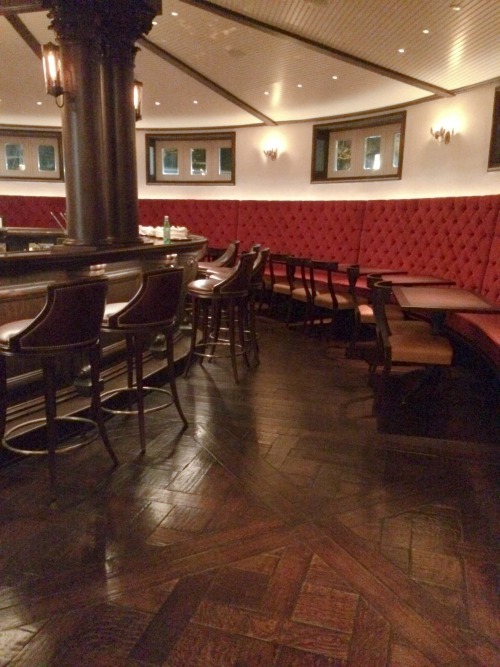 With TEC® WoodStrong® wood flooring adhesive, Archetypal created a beautiful floor that hearkens back to the restaurant’s rustic past, but will last long into the future. The Tavern on the Green reopened in May 2014, and is located off Central Park West between 66th and 67th streets. To find the perfect products for an upcoming wood floor installation, including strong and flexible wood flooring adhesives, send us an email or call 1-800-832-9023, Mon-Fri 8 a.m.-5 p.m. CST.